A quick view of the most influential metrics in Mebane. 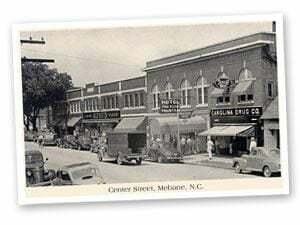 Also in 1881, Mebane's industrial growth began with establishment of the former White Furniture Company, followed by the Mebane Bedding Company in 1904 and the Ridgeville Telephone Company (now MebTel Communications) in 1907. The White Furniture building has been repurposed as downtown luxury loft apartments. Mebane Bedding is now Kingsdown Mattress Company. New industries include Morinaga Foods which produces candies and the distribution centers for Walmart, Aldi and Sheetz retail stores. 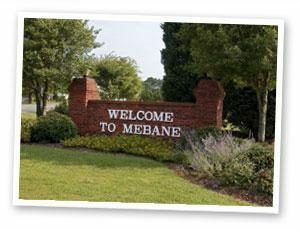 Mebane is within 20 miles (32 km) of several notable universities, including Duke University, UNC Chapel Hill, and Elon University. North Carolina State University & Saint Augustine's University are just over 40 miles (64 km) away in Raleigh. Alamance Community College is a two-year college in Graham, 6 miles (10 km) west of Mebane. View our selection of available properties in the Mebane area. Check out the latest demographic information available for Mebane. Learn more about schools near Mebane complete with ratings and contact information. Browse through the top rated businesses in the most popular categories Mebane has to offer.